Foreign Minister Timo Soini. File Photo Lehtikuva. Foreign Ministers of the eight Arctic countries in a joint statement to celebrate the anniversary of the establishment of the Arctic Council have emphasised the Council's achievements and pledge their support for the continued success of their cooperation, according to a press release. 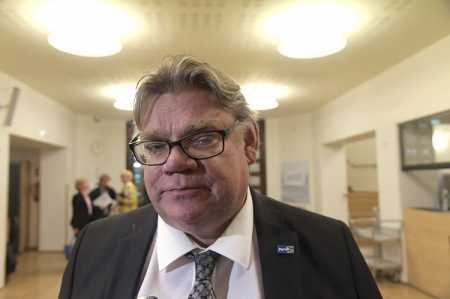 "Finland promotes constructive cooperation, because a stable and dynamic Arctic region is in the interest of the Finns," Foreign Minister Timo Soini said, marking the 20th anniversary of the establishment of the Arctic Council. Finland supports measures that strengthen the Arctic cooperation and, during its forthcoming Chairmanship of the Arctic Council, will intensify efforts to find common solutions for sustainable development in the Arctic region. It also intends to reinforce Arctic cooperation at the highest political level, said the release issued on Monday. Over the past twenty years, the Arctic Council has made valuable contributions that support environmental protection and sustainable development. The wellbeing of the Arctic indigenous people and other inhabitants has been one of its main priorities. The indigenous peoples' participation in the Council's work was unique and has, for its part, played a major role in the success of the work, said the release. Finland will assume its two-year Chairmanship of the Arctic Council in May 2017. During the upcoming two years, Finland will emphasise the implementation of the Paris Agreement on climate change and the UN sustainable development goals (SDGs) in Arctic cooperation. The Chairmanship will provide Finland with an opportunity to strengthen its country image and to promote further awareness of Finnish Arctic expertise, according to the release.